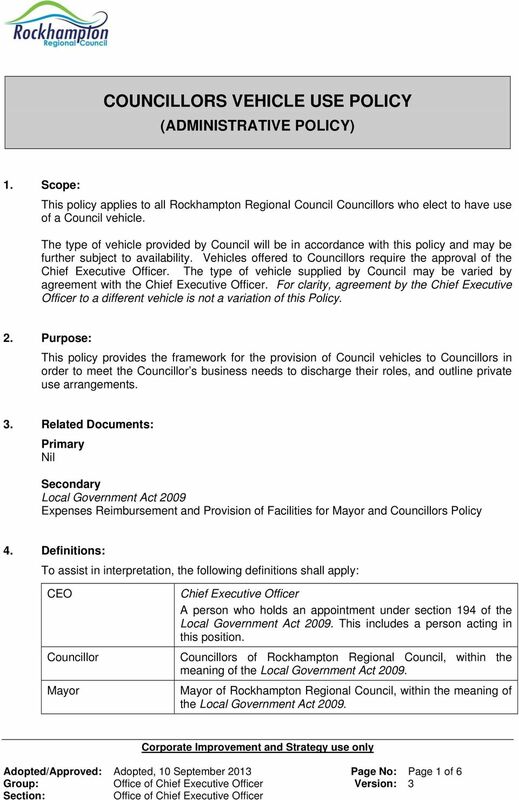 Download "COUNCILLORS VEHICLE USE POLICY"
COMPANY VEHICLE POLICY The following is a guide of what to include in a Company Vehicle Scheme. This can be used as a template by you to construct your own policy and adapted to suit your own company. 1. 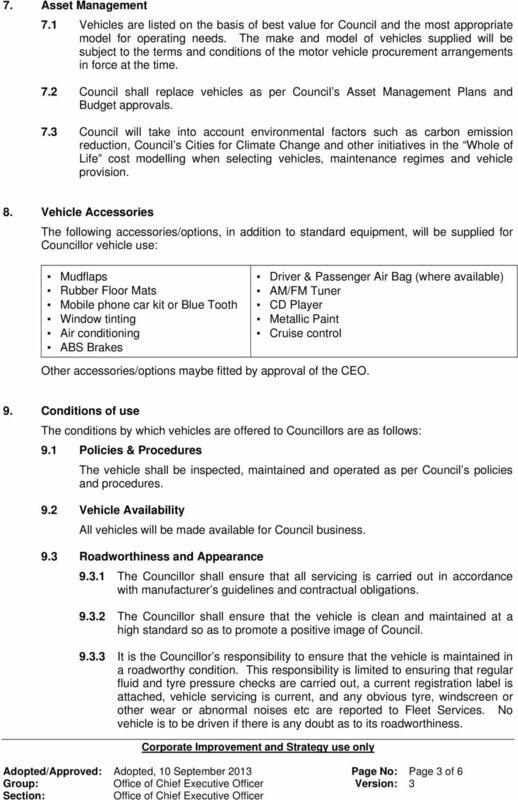 University General Fleet refers to conditions for management of vehicles purchased by the University for pool or special purpose use. 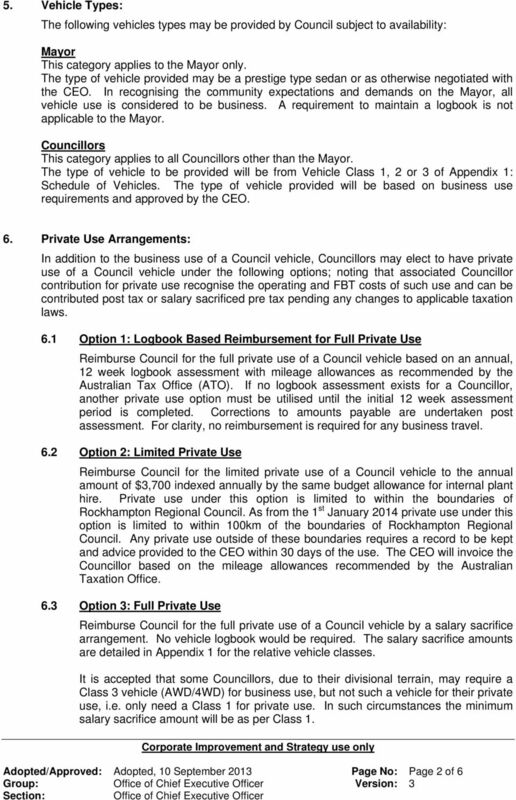 FLEET MANAGEMENT POLICY Contents 1. OBJECTIVES OF THIS POLICY...3 2. 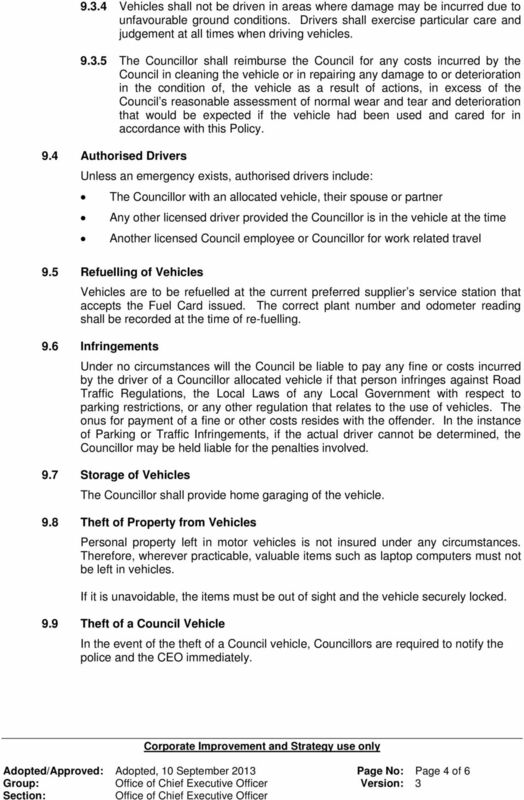 DUTIES OF THE TRANSPORT OFFICER...3 2. ITINERARIES...4 3. LOG-BOOKS FOR OFFICIAL VEHICLES...4 1 3.1 Completion...4 3.2 Supply...4 4. 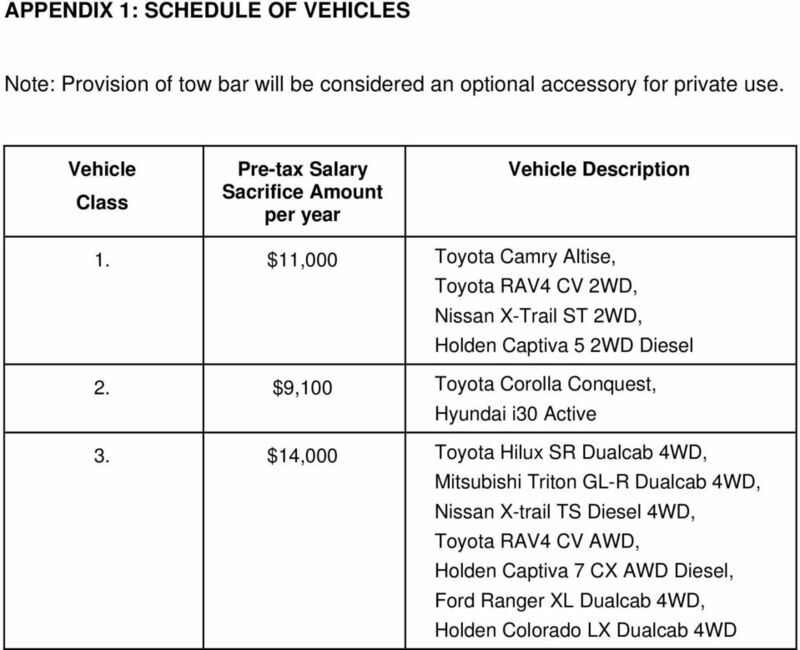 SALARY PACKAGING MOTOR VEHICLES GUIDE TO EMPLOYEES 1. Introduction Categories of Arrangements. 2. Benefits of Vehicle Leasing. 3. Lease Contract Conditions. 4. Understanding the Commitment. 5. Safety Nets. W E L C O M E OUR PHILOSOPHY IS THAT USING A LEASEPLAN CAR SHOULD BE EASY. Your Company Car WELCOME OUR PHILOSOPHY IS THAT USING A LEASEPLAN CAR SHOULD BE EASY. IT S EASY FOR YOU BECAUSE, ON BEHALF OF YOUR EMPLOYER, WE DEAL WITH PRETTY MUCH ALL THE PAPERWORK TO DO WITH YOUR CAR. VW Camper Van Hire, Pembrokeshire, Wales. Booking can be arranged through the website, email, or telephone call. 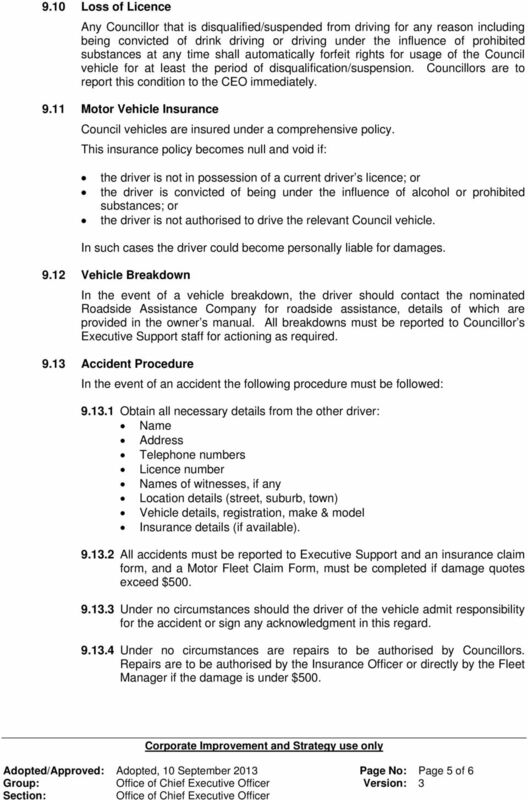 This document details University of Canterbury policy, procedures, conditions of use and responsibilities for users of University owned vehicles. National Heavy Vehicle Accreditation Scheme: Standards and Business Rules - Maintenance Management standards Version 1.0 February 2014 Maintenance Management standards Maintenance Management Systems 1. The sacrifice is achieved by varying your terms and conditions of employment for the term which you choose to receive a company car. 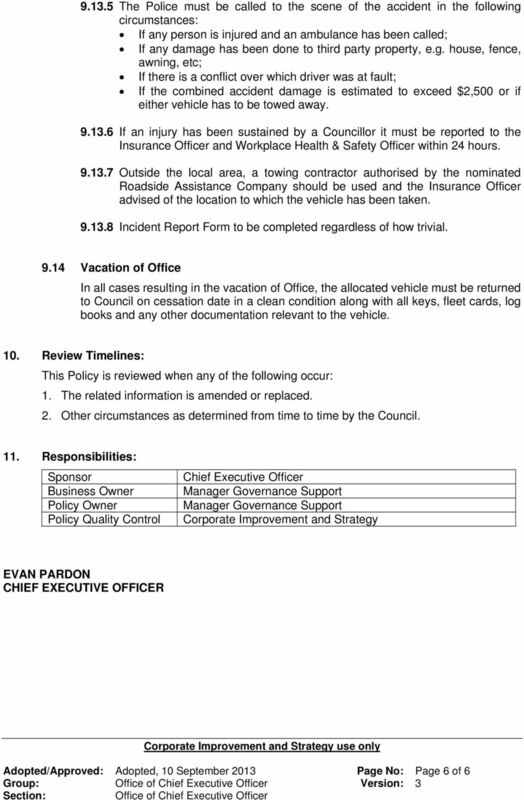 Employee Frequently Asked Questions General 1 What is Colleague Cars? Colleague Cars is a unique scheme open to all employees whereby you exchange some of your normal salary in return for a company car. BMW Group Roadside Assistance & Accident Management 1800 808 111 Unique peace of mind. Roadside Assistance & Accident Management for you and your BMW. BMW Group Roadside Assistance & Accident Management.